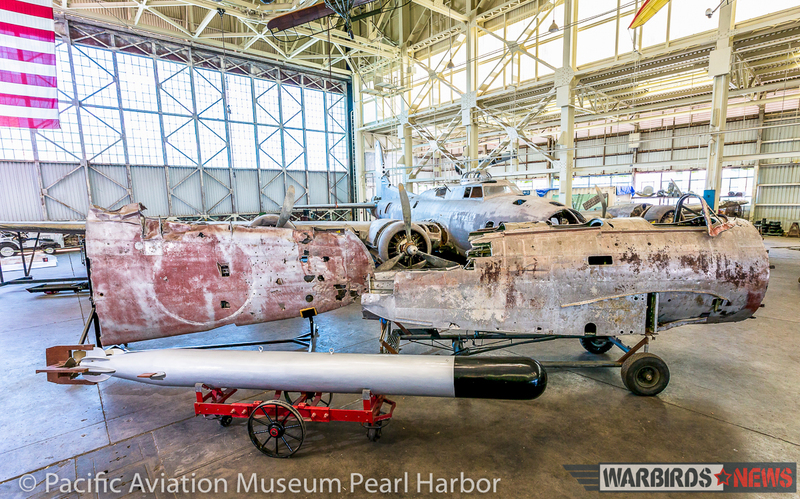 The Pacific Aviation Museum Pearl Harbor unveiled the substantial remains of an ultra-rare, former Imperial Japanese Navy Nakajima B5N2 Type 97 torpedo bomber on Monday, April 18th. Known as the ‘Kate’ to the Allies, this wreck is the most complete of just two preserved survivors. 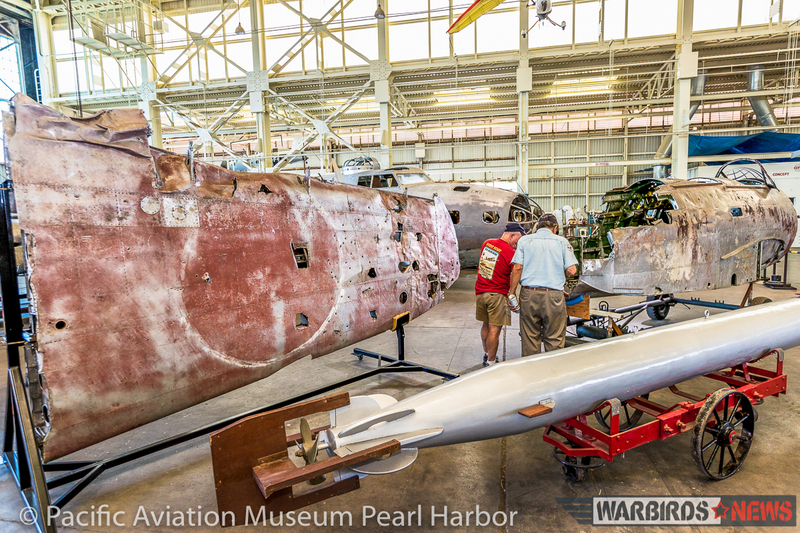 The type became infamous for its leading role in the December 7th, 1941 attack on Pearl Harbor. The only other ‘captive’ example is a hulk recovered from the Kuril Islands a decade or so ago that’s now on display at the Wings Museum in Britain. 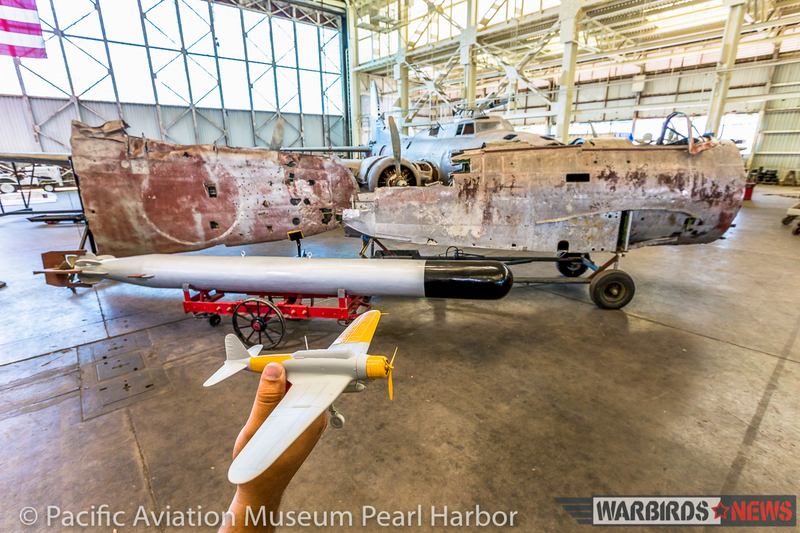 “One of my most memorable flights was on the 14th October when I took my section to Rabaul for a 9 am takeoff by a surrendered Japanese kate torpedo bomber from Vunakanau airstrip. Apparently not well briefed by the Australians regarding his destination, he headed due west which would have taken him to New Guinea, so I had no option but to formate close to him to guide him with hand signals. Initially I was quite apprehensive regarding possible kamikaze motives, but I soon saw him shaking with fear when 3 other Corsairs weaved over us at high speed, passing so close that I felt the thump of their aircraft a few feet above us – at which point he would pull his head down as if expecting a collision.” ref. Roy Paton, then serving as a mechanic with the RNZAF, took a few photographs of the Kate shortly after her arrival at Jacquinot Bay in October, 1945, and we received permission to reproduce them here. 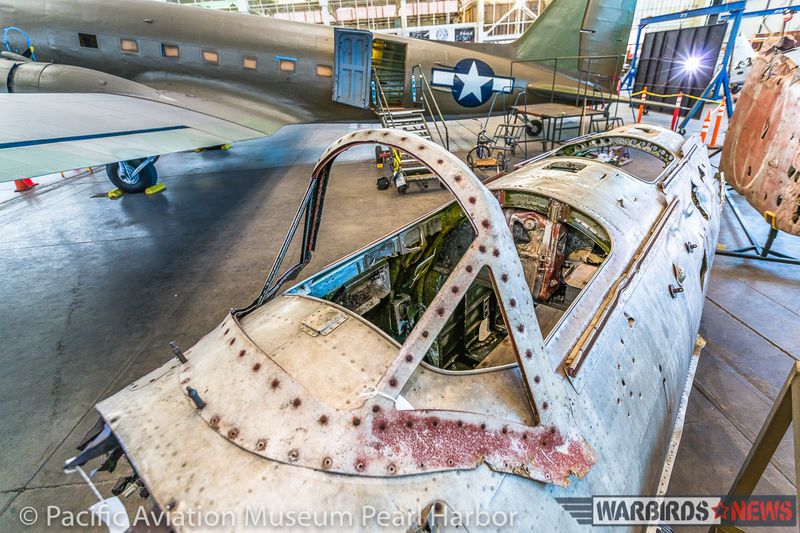 They offer a fascinating view of the past, and give clear evidence of the aircraft’s markings. 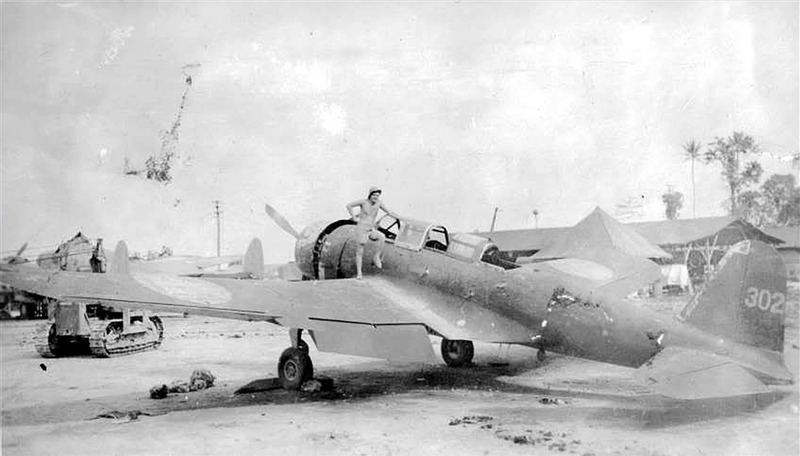 Interestingly, unlike the other Japanese surrendered aircraft at the end of the war, the Kate did not receive a green cross insignia… probably as a result of the war having been over for some time already. 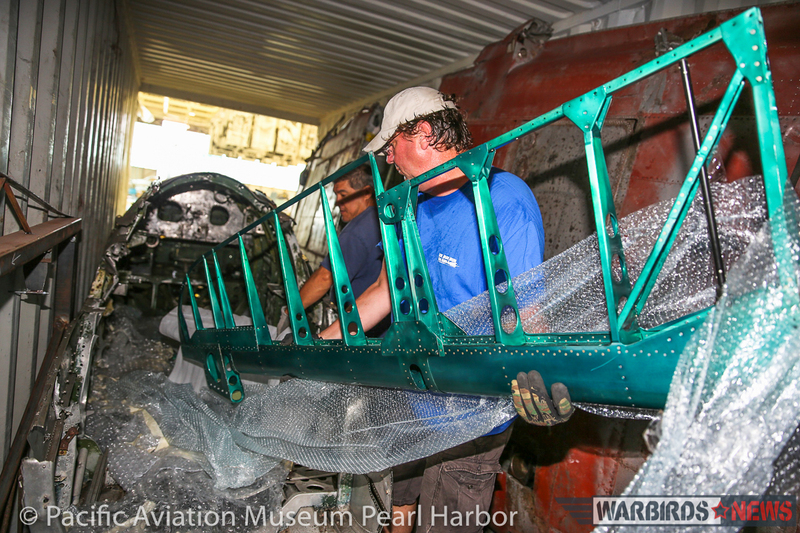 The Kate remained at Jacquinot Bay largely as she was for several decades, until the early ’80s, when locals took her apart and moved the hulk, along with the co-located Ki-46 Dinah, to another location for display. 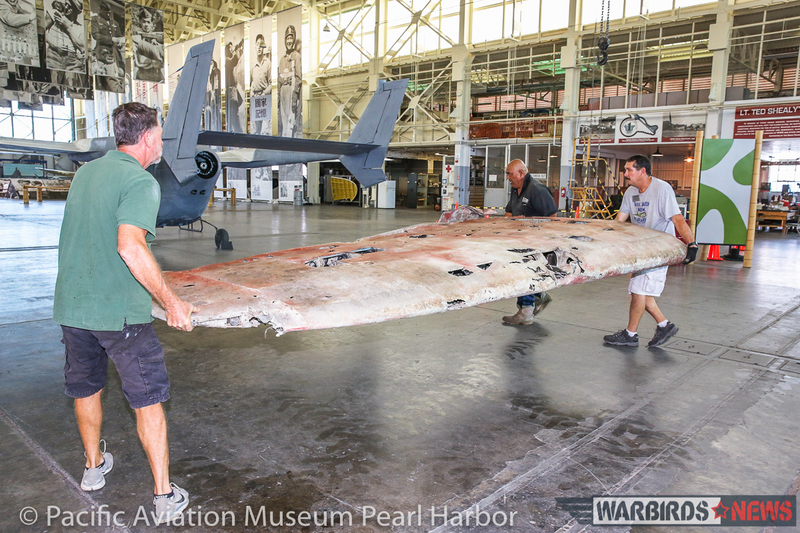 As is typical in such situations, both aircraft became subject to souvenir hunting, but still retained much of their structure. 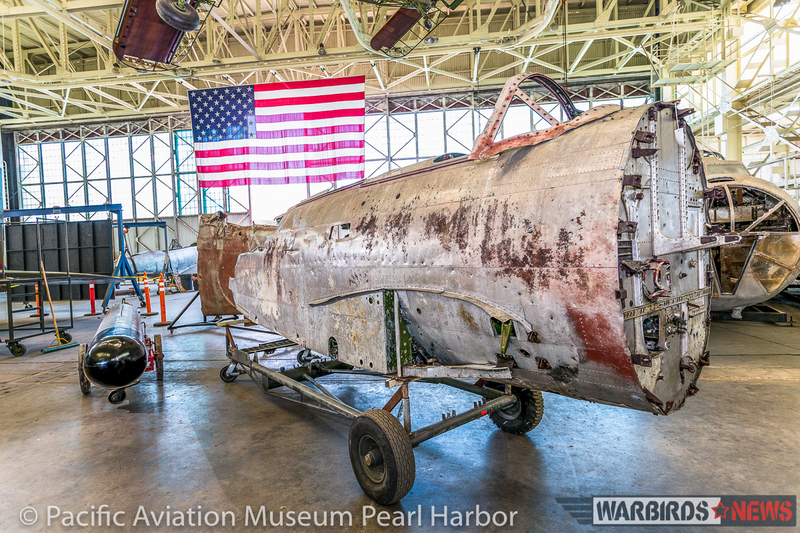 The Pacific Aviation Museum Pearl Harbor acquired their Kate some years ago, but they have only recently removed it from storage. It had been in New Zealand for some years following its export to Australia in 2005. Two Australians, Ian Whitney and Bruno Carnavale acquired the aircraft from New Guinea in the mid-2000’s along with several other wrecks from the same location. 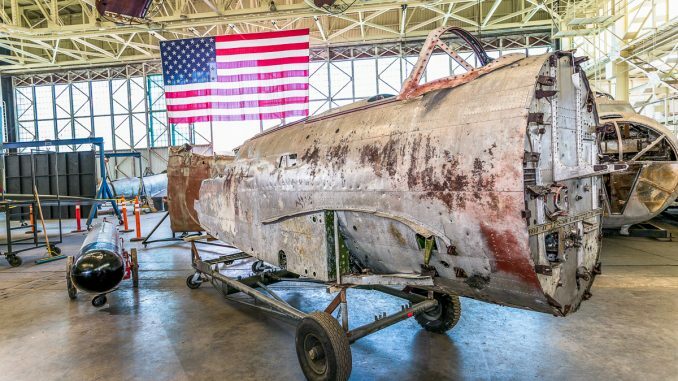 (Check out a fascinating interview of Ian Whitney by noted aviation history authorities Dave Homewood and James Kightly HERE – the interview proper begins about 4:30mins in). The Kate’s serial number is unknown at present, as no relevant data plates remain with the aircraft. 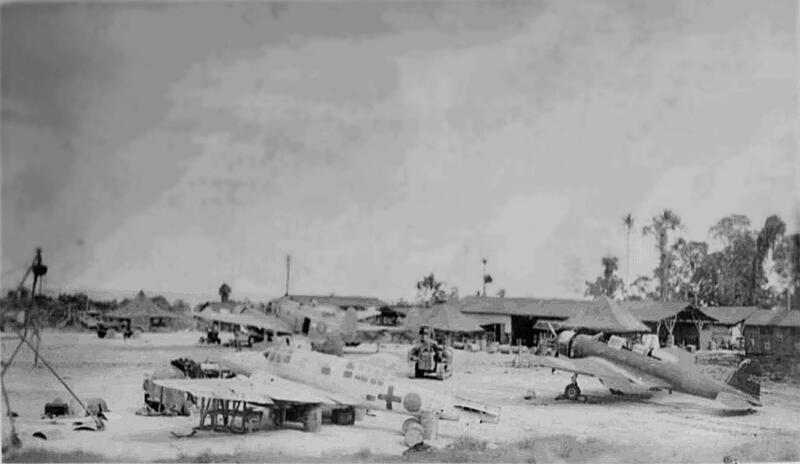 However, given the historical references and photographic record, the aircraft clearly flew as plane ‘302’ with the 105th Naval Base Unit during the latter part of the war. While it is possible that this Kate could have taken part in the attack on Pearl Harbor, it is unlikely this could ever be proven. 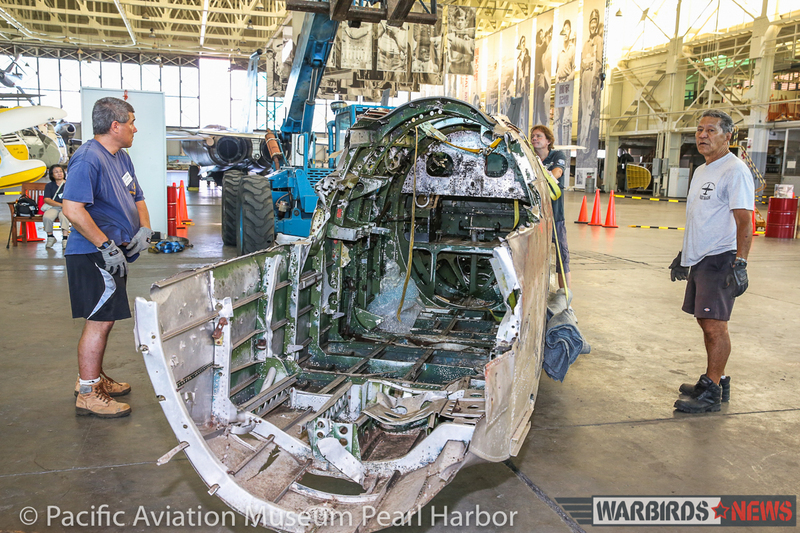 That being said, the museum is excited to finally have the aircraft on show as they build up towards the 75th anniversary of the raid this December. It will form an important part of their exhibit, given the type’s pivotal role in sinking so many US warships on that dark day. 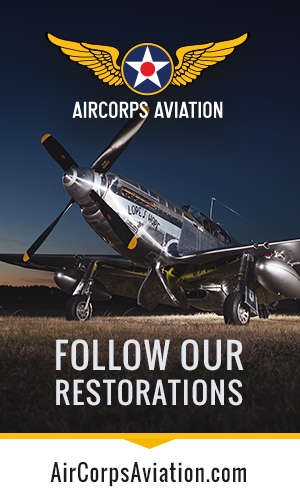 If any of our readers have parts they think the project could use, or would like to make a donation to the restoration fund, please do visit the link HERE to find out how to contribute. 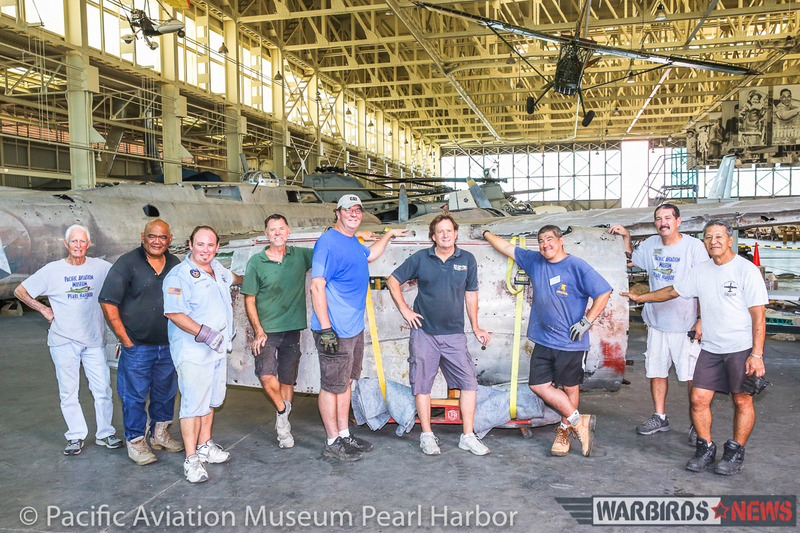 WarbirdsNews wishes to thank the staff at the Pacific Aviation Museum Pearl Harbor for their help in creating this article, as well as for providing us with the photographs shown here. 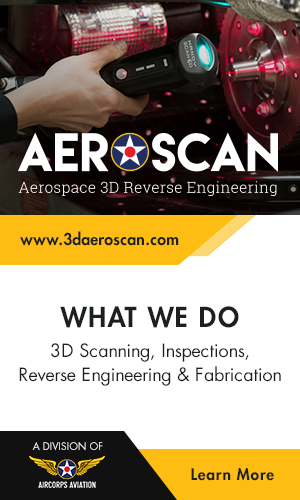 We wish them well in their work, and will endeavor to bring updates on this important project as they become available! Many thanks also go to Dave Homewood at Wings Over Cambridge in New Zealand for providing the vintage photographs of the Kate. Hi Paul here from Australia I am looking forward to my second visit to the Aviation museum can i see the Kate when i am there. Any tee shirts of a corsair ? I wish I could come over and buy you guys a whole bunch of brew. May I show that photo on my blog?